Home Gardening Which brand of barbecue to buy? I have to state at the very start of this article that I cannot give an impartial and totally unbiased opinion because I own a Broil King. I absolutely love it, and even though it gets heavily used, lives outside all year round, and doesn’t get much more than an annual clean it still looks great and cooks fantastically. So I guess you could stop reading now and just buy a Broil King, however the market has moved on in the 5 years since I purchased mine, so it may just be worth reading on a bit. Going back a few years Weber was undoubtedly the king of the elite barbecue world. 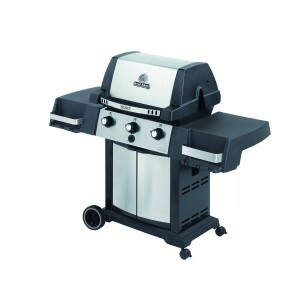 Their classic one touch silver barbecue, with the patented easy ash cleaning system from which it derives its name is the world best selling barbecue, and the design has been more or less unchanged in over a generation. However it used to be their American made gas barbecues that set them apart. Starting prices were over £600 and many models where a long way north off the £1000 mark. The quality of these barbecues was outstanding and they did (and do) last for 25 years plus. However a change of strategy at the top of the company has lead to a switch in direction from Weber, and production being shifted to China. They are still a great barbecue, and with a number of models now available at below £300 they are great value and affordable to most barbecue enthusiast, they have however lost the appeal they had to the elitist barbecuing snob! The place at the top of the pile has probably been taken up by Napoleon. These guys make stunning barbecues. Price start at a bit over £400, but the majority of the range is over £1000.00, they are expensive, but if you’re into your barbecuing, you’ll love the control they give you whilst cooking, combined with classic barbecue flavour. What’s more averaged out over the lifetime of this type of quality barbecue, you may well get better value for money. Others doing pretty well at the top are Grand Hall and Beefeater. Beefeater is Australia’s leading brand of barbecue (and let’s face it the Aussies love a barbie ), so it should be good. It really took off as a brand in the UK, when a huge version was featured in the Big Brother House about 5 years ago, and if you want to construct a complete kitchen in your garden, these are the guys for you. It’s worth noting the Beefeater range is designed for a different style of cooking to all the other brand mentions. The Aussies go in for burgers and steak, seared at really high temperatures, so these barbecues have hugely powerful burners ideal for quick cooking, but are not so good for gently roasting. A name that got everywhere a few years ago, but probably doesn’t have the longevity and performance to match the fame of the brand is Outback. There’s no doubt their marketing people did a good job, but the quality of construction would not match the other brands we’ve talked about. Finally that brings me on the Broil King. These are Canadian designed and made, and are great quality. They have a really long guarantee, but you almost certainly won’t need it. They put real effort into design and research to ensure the range remains leading edge, so much so that copies are not uncommon. Prices start from not much over £100 for portable models, and just over £200 for fixed trolley models, which makes them highly affordable. It’s not the best known barbecue brand in the UK, because they don’t go in for huge amounts of marketing, but the value for money is exceptional. Here at Philip Morris & Son we pride ourselves on our knowledge of the barbecue market, and endeavour to pass that on to you. Regrettably it does mean we are working at about our hardest at the time of year you’re all out enjoying your barbecues, but we’re happy to help! 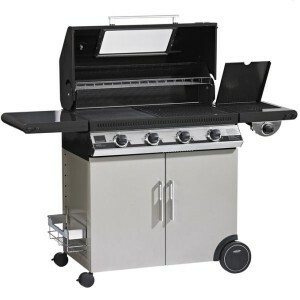 To find out more about specific models try these: Weber, Broil King, Napoleon and Beefeater. Beefeater barbecue, Broil King, Napoleon barbecue, Weber. Bookmark.